After some recent emails from other photographers asking me what flashes/strobes/lights I use, I thought to myself, "Hey, if I get questions about lights, it must be interesting enough to make a blog post!" In this review & comparison I'm going to take a look at the lights I use, how bright they are, and what their light spreads are like for direct flash use. If you find this comparison useful and are thinking of buying, you can get me a small commission by using the links on this page. Since the transmitters come in different versions for different brands of cameras, I'll put links to all the different versions at the bottom of the page to make them easy to find. All the lights I currently use are made by a company called "Godox," but are rebranded under Adorama's "Flashpoint" brand. These lights are decent in quality while not being too expensive. I buy the "Flashpoint" branded flashes instead of the "Godox" branded ones because if it says "Flashpoint" it means I get a U.S. warranty. Since I live in the U.S. I went with those. In this post I refer to the Godox models since they are more widely recognized and the names are a bit simpler, but I will put links at the bottom of the page for both the Godox and Flashpoint branded versions. I currently own two Godox V850II's, two Godox AD200's, and two Godox AD600's. I trigger them with an X1 Wireless Flash Trigger in the camera's hotshoe and control the power of the flashes with an XPro (I used to have an XT32 before the XPro was released) that I keep on me as I walk around moving light stands. The only time the X1 Trigger affects flash power is when you first turn it on, so the rest of the time it doesn't interfere with the settings I choose on the XPro. I never use TTL so I have the manual only, non-TTL versions of all the lights except the AD200, which doesn't come in a manual-only version. 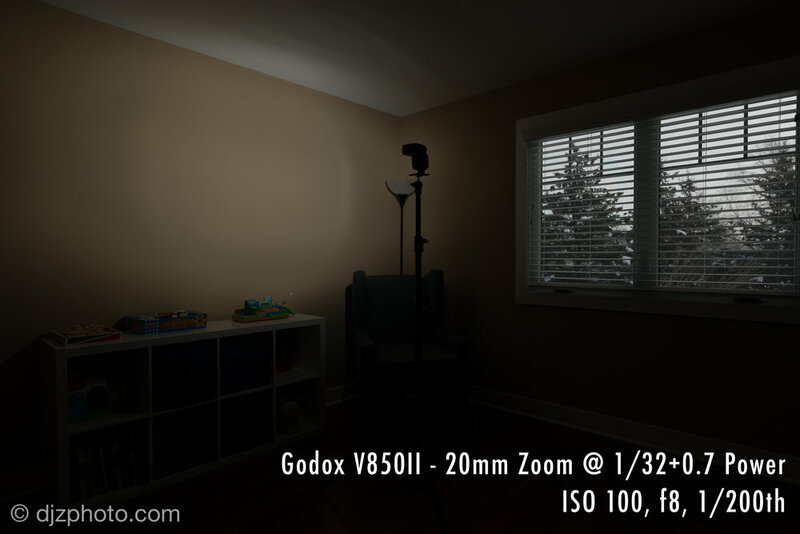 The Godox V850II Li-ion Camera Flash is a speedlight that is powered by a lithium-ion battery, which is a breath of fresh air if you've previously used flashes powered by AA batteries. These lithium-ion batteries are rated to last for 650 full power pops (and I never use lights at full power). I use this primarily for ceiling/wall bounces in small rooms or to highlight areas or objects in larger rooms where I'm also using bigger lights. 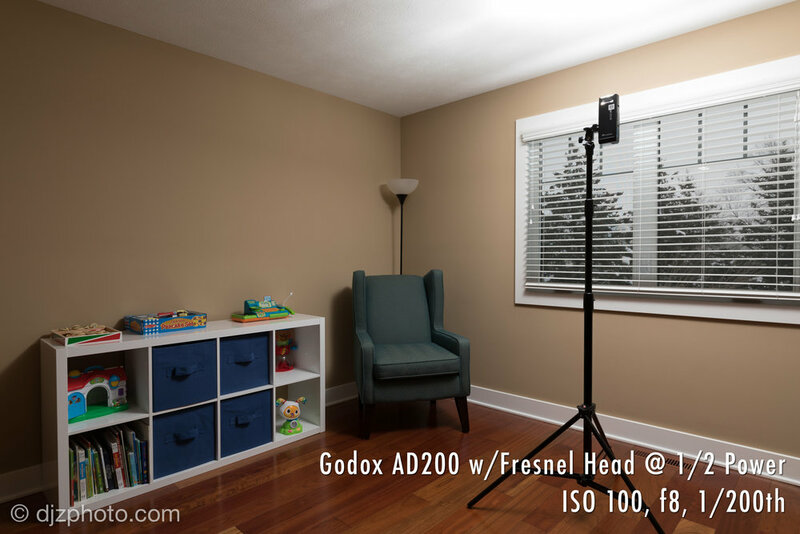 The Godox AD200 is a 200W strobe that is about a stop brighter than a normal speedlight. It comes with a detachable Fresnel head and a detachable bare bulb socket to allow for a little more flexibility. It readily accepts a variety of optional accessories made just for this model like a 12" beauty dish, standard reflector, umbrella reflector, dome diffuser, barn doors (included with the basic kit), and more. It is only slightly bigger than a speedlight, so many accessories made for speedlights will fit onto this when the Fresnel head is attached. One thing to note is the AD200 basic package does not include reflectors for use with the bare bulb. These lithium-ion batteries are rated to last for 500 full power pops. 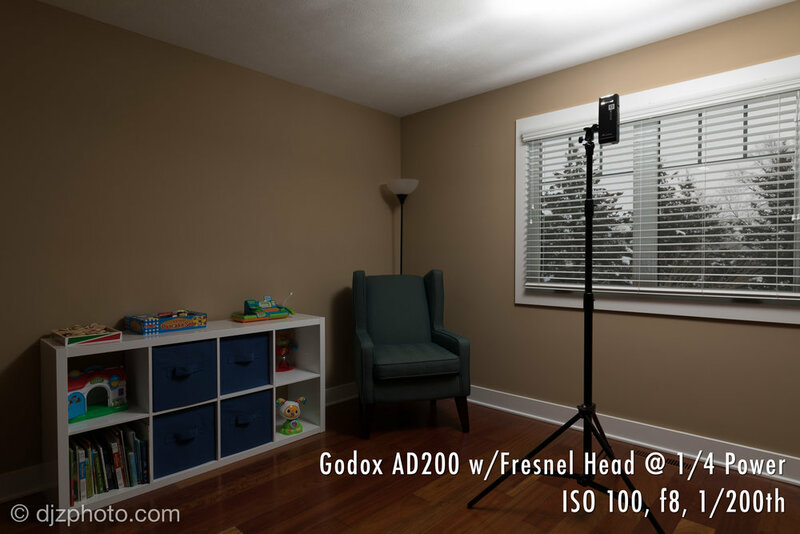 The Godox AD600 is a 600W strobe / monolight that is much brighter, bigger, and heavier than a speedlight. These are great for throwing lots of light into a large room and useful for balancing interiors with exteriors on a sunny day. I often will hand hold these because it has a nice big handle that makes you feel like you're holding a giant photon gun, and when the light fires it goes "POP!" I have to say, even though it's heavy it is fun to walk around with these things. =) TSA also always enjoys scanning these if you ever take it as carryon in an airplane. Their typical question is, "What...IS...that???" These lithium-ion batteries are rated to last for 500 full power pops. The links to the AD600 on this page are to the Bowens Mount model, which is how accessories, like reflectors and beauty dishes, are attached to the light. So how do these all compare? As you can see the Fresnel head of the AD200 might be a hair brighter than the bare bulb. Otherwise, it all went as expected. I also tried the AD600 at 1/8th power but it seemed too bright and was probably a bigger exposure difference than 1/16th +0.7. I often use configurations that have uneven light spread when I'm bouncing from walls, ceilings or umbrellas, since bouncing softens and evens out the light source. That being said, it is nice to know what the light spreads look like for situations where direct flash is useful. I do like to use the direct flash of the AD200 bare bulb & standard reflector when doing twilight exteriors, because the AD200 is light enough to hold on the end of a light stand or painter's pole and has a very even light spread. Got a bunch of lights and not sure what to carry them in? See also my review and photos of the Pelican Air 1607 Protector Case, with up close photos before and after I load it up with my gear.